Here are a selection of the the birds, mammals, insects and other animals that can be found Dibbinsdale. 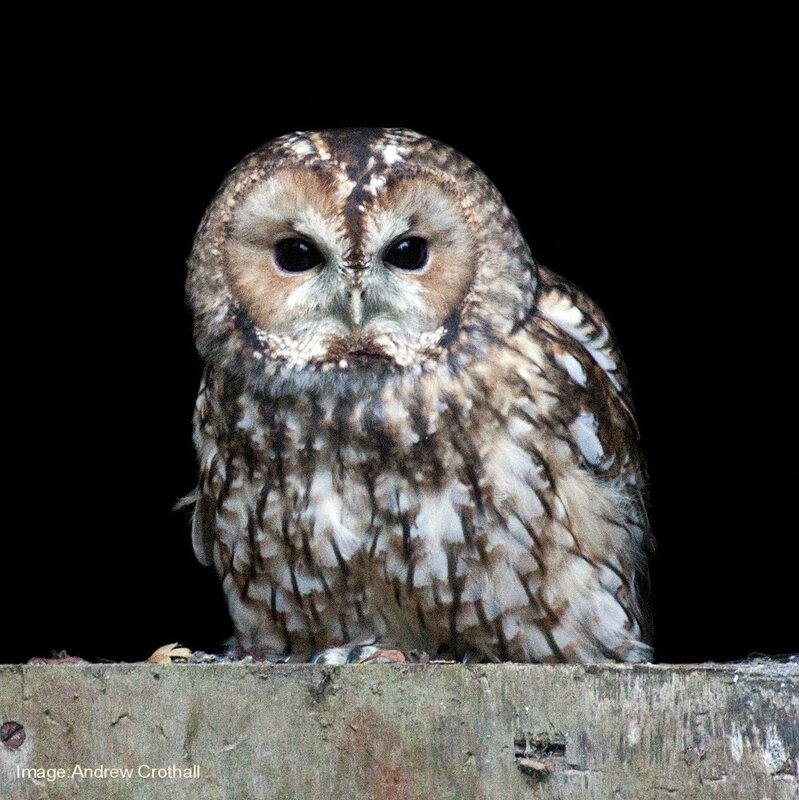 Here is our latest photo star – A Tawny Owl (Strix aluco) that is frequently seen watching visitors heading through the reserve as dusk falls. Although these birds are not actually that uncommon, it is not often that one can be seen at such close quarters in the wild. This nice photo by Andrew Crothall. Click on the thumbnail for the full size picture. 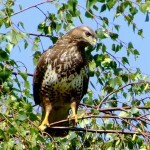 Here is another of our larger birds, the Buzzard (Buteo buteo). 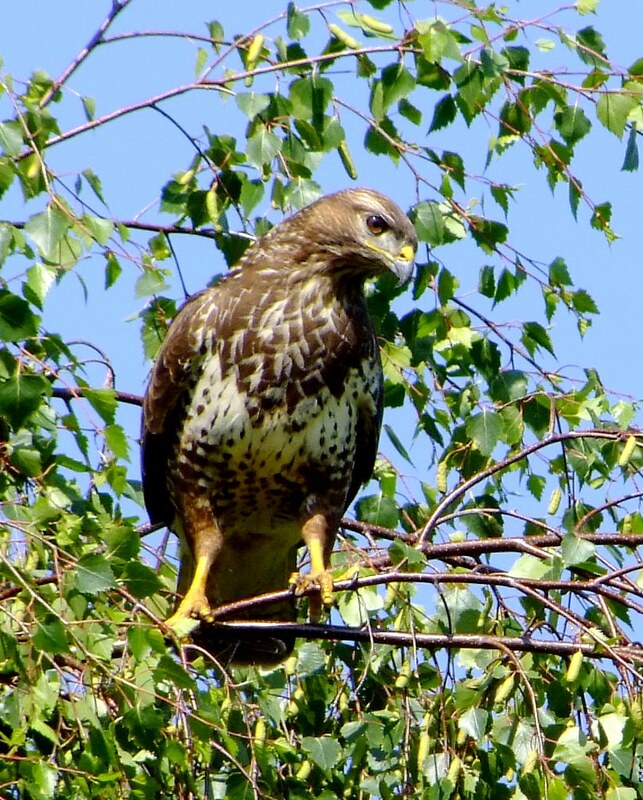 In recent years buzzards have become much more common, and are now a frequent sight in the reserve, especially around Bodens Hey meadow and soaring over the surrounding woods. Their characteristic mewing ‘kiew’ call is often heard before the birds are actually seen. 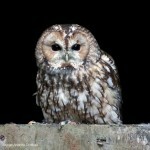 Last year a pair nested within the reserve and successfully raised a family. Thanks to Carl Huxley for this photo. July 2012 update – One family of Buzzards have been fledged again with at least two chicks now out and about pestering their parents for food. 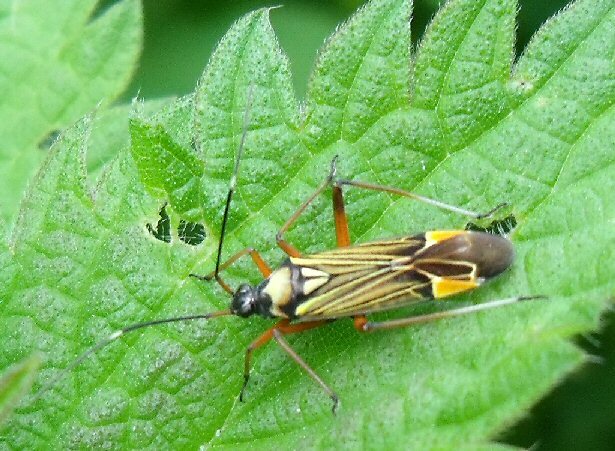 This smart little insect is Miris striatus (no common name). 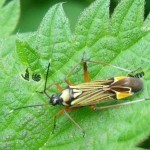 It has sucking mouthparts, telling us that it is one of the true bugs, as opposed to beetles which have biting jaws. It lives on oak and hawthorn, feeding on young leaves but mostly on small caterpillars and soft bodied insects. It is a member of the Miridae or Caspid Bug family. There are about 6000 known species of mirid bugs. Link to more info.